So I’m not going to lie to you. In my — I accept — minority view, The Night Manager is one of the most overrated drama series of recent times. Even Tom Hiddleston’s bottom wasn’t enough to hold my attention through a production that smacked of shallow Bond-style gloss in thrall to the power-hungry perverts it was presumably meant to despise. Which meant that trumpeting The Little Drummer Girl as ‘from the team behind The Night Manager’ made my heart sink. Please, not another buffing up of a John le Carré novel into faux 007, surely? Thankfully, that’s a big no: The Little Drummer Girl is a grubby, gritty slow-burn of a surprise, featuring a star-making turn from Florence Pugh as Charlie, a struggling actor about to dive into the murky waters of the Israeli-Palestinian conflict. We’re in 1979, the Munich Olympics massacre of Israeli athletes is still fresh in the memory and the story is driven by revenge, with Michael Shannon’s Israeli intelligence specialist Kurtz honing in on Palestinian assassins and on the lookout for unlikely recruits to aid his cause. Charlie — ‘human sponge me: read it, hear it, it’s in’ — fits his bill perfectly. The scene has been expertly set, the characters on the chessboard placed and ready to strike up a beat by Oldboy director Park Chan-wook. So forget The Night Manager. 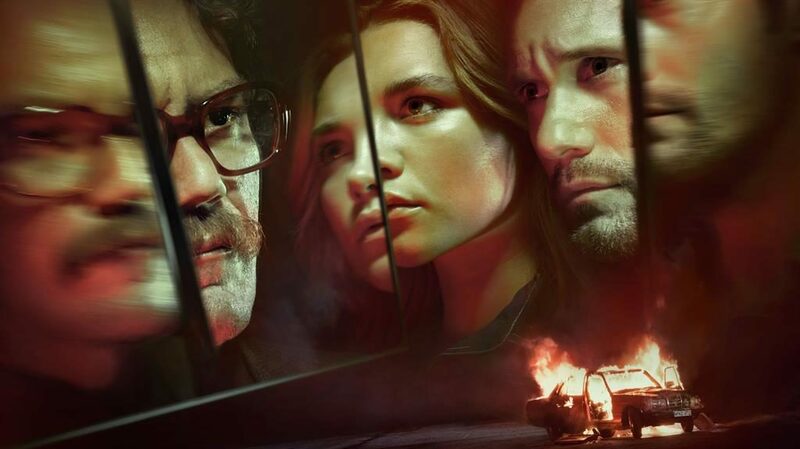 The Little Drummer Girl is from the sharp end of the spy thriller spectrum and it’s much, much better. Would I lie to you? What was the appeal of playing the Little Drummer Girl? I love the fact we just watch this very normal, average girl go through all this. It’s very rare for us to see someone in a story like this who’s not good at everything. My character Charlie is a very good actor but she’s in this world that she doesn’t know anything about. She’s completely out of her depth but she’s feisty and ready to tell anyone what she thinks. At no point do you see her freaking out until the doors are closed. What did you make of the late-1970s fashions? You filmed at the Acropolis at night. How was that? The most unbelievable evening of my entire life. You’re not usually allowed the real thing to react to, it’ll be a tennis ball on a stick, so when we were there they just stuck two cameras in our faces and Park [Chan-wook, the director] was like, ‘OK, now react to the Acropolis’. No acting was required! Are there any elements of Charlie you’d like to carry on with you in life? Her general bolshiness is great. She reflects exactly what’s happening now, which is people getting their heads up and shouting more. I love the way she challenges the world. That’s a good thing for all of us to have.